The free icons have different licenses, so this question cannot be answered by a 'yes' or a 'no'. You will need to use free icons that are licensed for commercial purposes. The license information for each icon will be found next to each icon, as shown in the screenshot below. There is a clickable link to the license terms. If the icon cannot be used for commercial use, this will be clearly stated in the license terms or even license name. To make it easier for you to find icons you can use, there is a filter for the License Type. 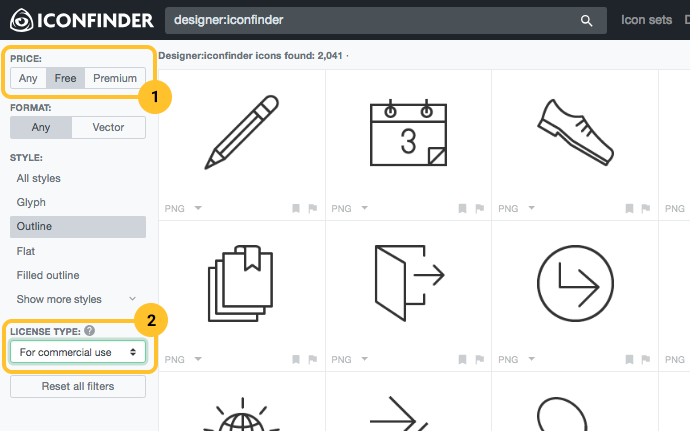 With this filter, you can search only for icons that are suitable for commercial use. If you have any questions regarding licenses, please check our License overview article.